﻿It's not too late! Register NOW! ​﻿Classes are regularly scheduled on Wednesdays in the school from 6:30 to 7:45pm. See the Class Schedules for details. Remember...per Archdiocesan guidelines....if your child is going to receive a sacrament (First Reconciliation, First Communion, or Confirmation) next year (2017-2018), they MUST be enrolled this year (2016-2017). So, if you are expecting your child to receive a sacrament this year, they must have been enrolled last year (2015-2016) or they are ineligible to receive the sacrament. 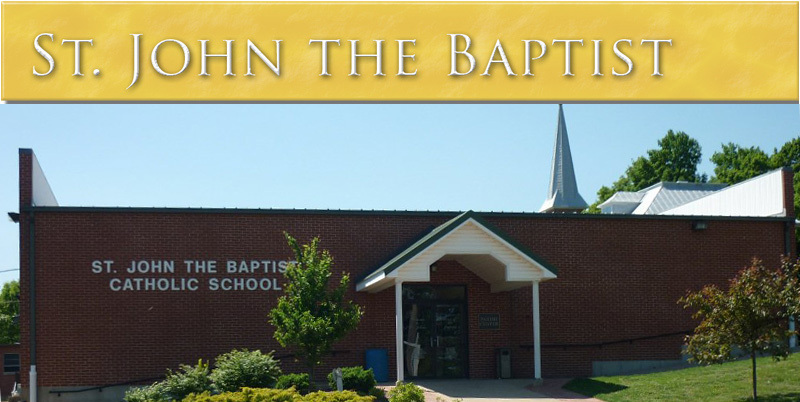 Welcome to the PSR website of St. John the Baptist - Gildehaus. Located in Villa Ridge, Missouri, St. John's has been serving the community for over 175 years. As there is a large community of students who do not attend Catholic schools, the PSR program is vital in providing a program to help these children learn about their faith. The program serves children who attend Kindergarten through the Eighth (8th) grade in the school building at 5579 Gildehaus Rd. from 6:30-7:45pm on Wednesday evenings. O God, You raised up St. John the Baptist to prepare a perfect people for Christ. Fill Your people with the joy of possessing His grace, and direct the minds of all the faithful in the way of peace and salvation. Grant that as St. John was martyred for truth and justice, so we may energetically profess our Faith in You, and lead others to the Way, the Truth, and Eternal Life.